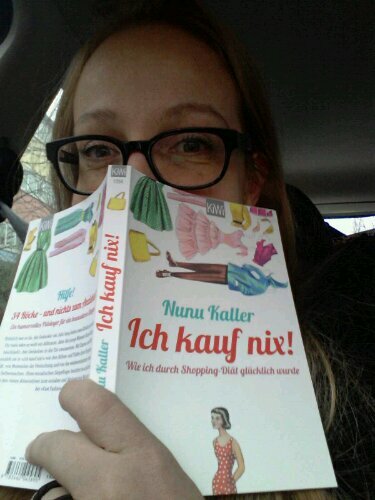 Futter für Lesehungrige | Ich kauf nix! Naked Fashion: The New Sustainable Fashion Revolution by Safia Minney: Founder and CEO of Fair Trade fashion label People Tree, Minney’s book offers an overview of the most pressing challenges facing the fashion industry and shares a positive look at alternative business models with a list of eco-friendly fashion brands. Among the contributions from designers, photographers, models, actors and journalists on their efforts to create sustainable change within the fashion and media industry are actress Emma Watson, Daily Mail columnist Liz Jones, fashion designer Vivienne Westwood, and model Summer Rayne Oakes. To Die For: Is Fashion Wearing Out the World? by Lucy Siegle: Siegle’s sobering exposé of the reality behind high street fashion examines it’s environmental and social impacts, from Uzbekistan cotton and its links with child labour, to animal farming and the consequences of western clothes shipped to Africa. Published in 2011, the issues raised are increasingly relevant three years later. Throughout To Die For, Siegle talks about what a clothing label might say if it had to inform the consumer of how it was made, a question especially pertinent this week as two Swansea shoppers claim to have found „Forced to work exhausting hours“ sewn into their Primark purchases. Overdressed: The Shockingly High Cost of Cheap Fashion by Elizabeth L. Cline: Overdressed could be described as the American equivalent to Siegle’s To Die For, with the aim of inspiring sustainable consumer behaviour. Written from a strong US perspective with a chapter dedicated to the development of fast fashion in America, Cline sets out to investigate the true cost of cheap fashion, visiting factories in Bangladesh and China and exploring the fate of castoffs given to the Salvation Army. The Sustainable Fashion Handbook by Sandy Black: This ultra-comprehensive handbook gathers the perspectives of designers, academics, activists, artists and global corporations, covering topics from GM cotton to the rights of garment workers and the impact of washing machines. With articles, essays and images, it also features statements from the likes of Stella McCartney and Vivienne Westwood. Black includes a host of case studies on sustainability initiatives like textile recycling and fair trade schemes from brands including People Tree, M&S and Timberland. Stitched Up: The Anti-Capitalist Book of Fashion by Tansy E Hoskins: In her book, Hoskins, a journalist and activist who has worked for the Stop the War coalition and CND, explores problems with the fashion industry including the abuse of garment workers‘ rights and working conditions for models – charging it with accusations of child labour, environmental devastation, racism and alienation. Hoskins doesn’t look to blame consumers of cheap, fast fashion; rather the commodified market that’s creating false needs and desires. Fashion and Sustainability: Design for Change by Kate Fletcher and Lynda Grose: The successor to Fletcher’s first book, Sustainable Fashion & Textiles – Design Journeys, Fletcher and Grose explore sustainable fashion from a designer’s perspective, presenting the role of the designer in accelerating sustainable change as a communicator, activist and entrepreneur. Fletcher, a professor in fashion and sustainability at London College of Fashion, and Grose, a professor at California College of the Arts, challenge designers to consider how their design decisions impact the environment and present ways of integrating the reduce, re-use and recycle mantra into design practice. ReFashioned: Cutting-Edge Clothing from Upcycled Materials by Sass Brown: As a growing genre in sustainable design, upcycling is a huge part of the reinvention of the fashion industry. In this highly visual book, Brown showcases 46 emerging designers who work with recycled materials and discarded garments. From the weird to the wonderful, ReFashioned features the likes of Kerry Howley’s Attraction/Aversion necklace collection made from discarded human hair, and the MAYER. Peace Collection made from linen sheets, flour bags and military tents. ja ich hab dein buch gelesen, den das ist ja auf deutsch geschrieben. aber leider kann ich nur ganz wenig englisch und somit nutzt mir das was du oben geschrieben hast garnix, leider. In den Büchereien Wien gibts ja meist ein eigenes Regal mit den Produktneuheiten…im 16ten Bezirk war letzte Woche dein Buch als DAS Highlight präsentiert! Habs natürlich gleich geschnappt und in einem Sitz ausgelesen (ohne Übertreibung)…ist super geschrieben! COOOOOOOOOOOOOOOOOOOOOOOOOL!!!!!!!!! Danke für die INfo, das freut mich! !